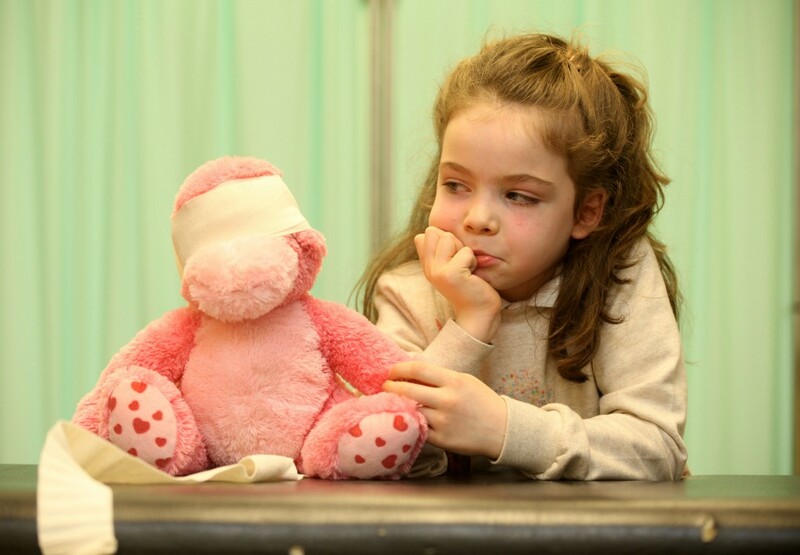 Chloe Connell (7) Scoil Bhríde National School, Menlo, Co. Galway with her teddy at the launch of NUI Galways 11th Annual Teddy Bear Hospital which will take place on campus from 21-22 January. Over 1,400 sick teddy bears, from penguins to pandas and everything in between, were admitted to the 11th annual Teddy Bear Hospital on 21-22 January in Arás Mac an Léinn. 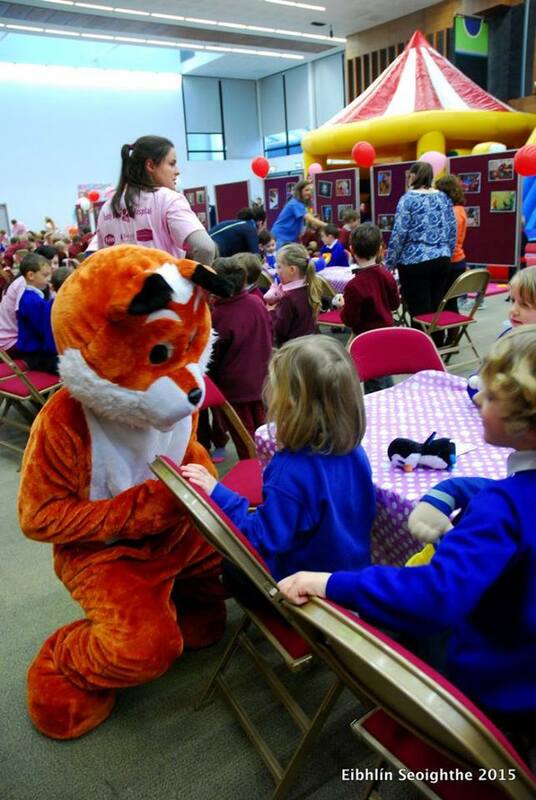 This year a record breaking 30 local primary schools attended the cutest event to take place in NUI Galway. 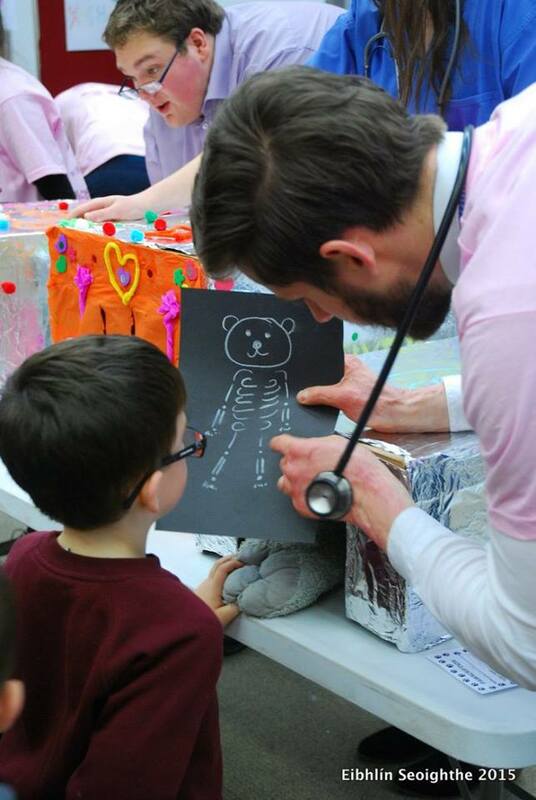 Health-Promoting teddy bear extraordinaires Sláinte Society and medical and science students diagnosed and treated teddy bears utilising special X-ray and MRI machines, stethoscopes and otoscopes, amongst a variety of other medical contraptions. 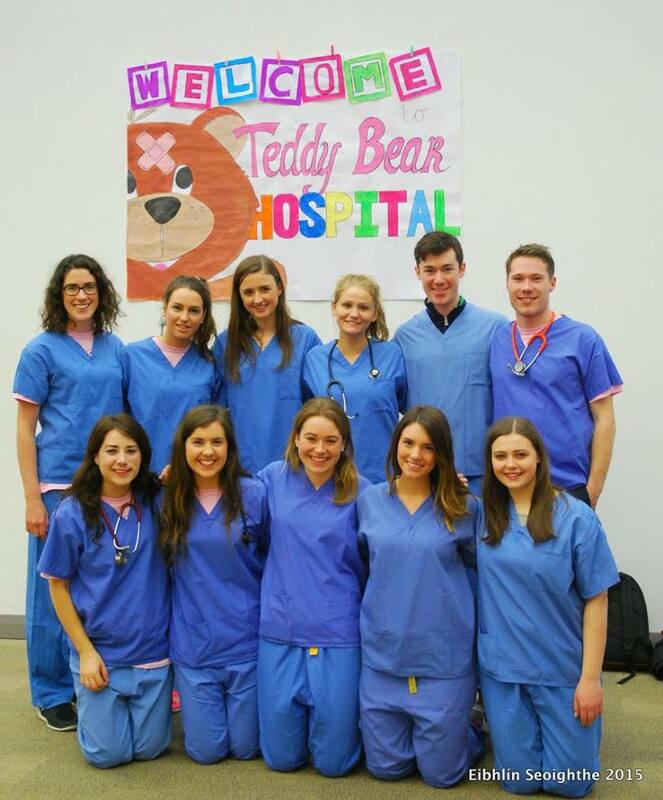 NUI Galway’s first Teddy Bear Hospital was organised by medical students of NUI Galway in January 2006. The two mornings have become Galway’s yearly fixture in a bid to help children feel more comfortable with the concept of doctors and hospitals alike. Children of students and staff members and primary school students showed doctors the many ailments their teddies suffered from, including tummy aches, broken bones and other wonderfully imaginative ailments. On arrival at the Teddy Bear Hospital, children arrived at arguably the most exciting “waiting room” out there, with jugglers and face painters ready on hand to entertain their guests. 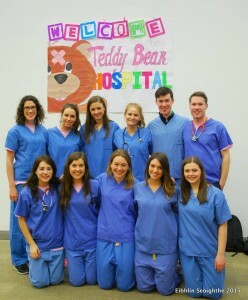 Teddy Doctors and Teddy Nurses then called teddy bears and their young minders in, who examined and diagnosed them. 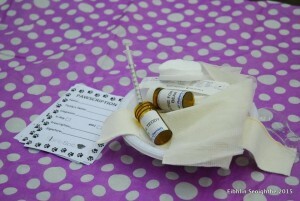 For those especially sick teddies, the Teddy Bear Pharmacy was ready on hand to provide all medical essentials. The tailor made chemist’s was stocked with fruit from Burkes Fruit and Veg, and medical provisions courtesy of Matt O’Flaherty Chemist. As a treat for minding their beloved teddies so well, children then got to jump the bouncy castle as they were reunited with their furry loved ones. A photographer on the day also took photos of both minders and their teddy bear patients to mark the unforgettable occasion. The events and entertainment came courtesy of Electric Garden and Theatre, MPS, NUI Galway’s Juggling and Art societies and Childsplay Creche Riverside. Much preparation was underway in the lead up to the days, with over 200 students and volunteers gathering at an Information Meeting last Tuesday and Wednesday to discuss house rules for the event, create their specialised equipment and set up the hospital environment. Volunteers who participated in the event received a t-shirt as a thank you for their efforts from the Sláinte Society. Over twenty people manned the X-rays at all times, while other volunteers held consultations with the children and even sewed back very sick teddies who had some of their stuffing missing. 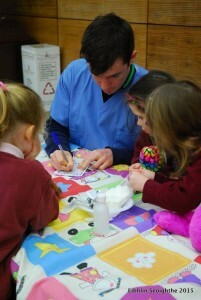 The event is seen as a great opportunity for medical and nursing students to improve their paediatric skills. Amongst recommended remedies advised by medical officials at the Teddy Bear Hospital included resting teddies well and ensuring they get lots of good nutrition and exercise. Sláinte Society was established as NUI Galway’s branch of IFMSA (International Federation of Medical Students’ Societies) with a core aim in promoting physical and mental health. 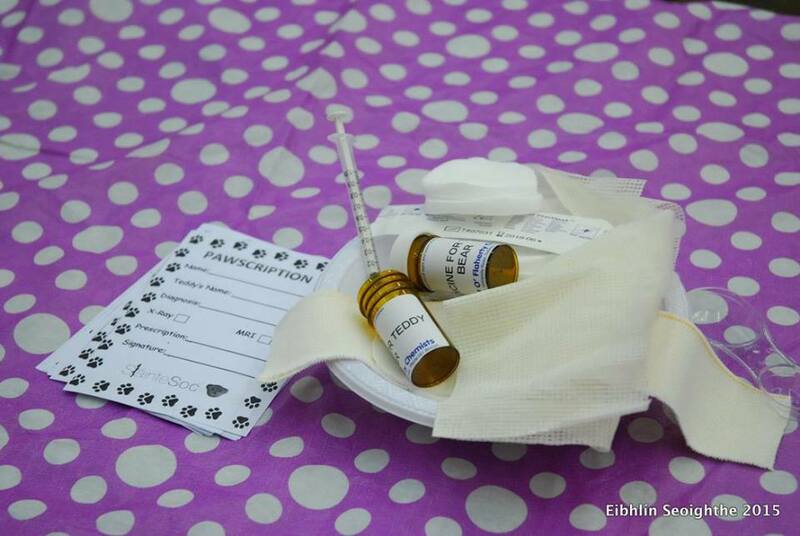 In addition to the Teddy Bear Hospital, the society is also known for organising blood donation drives, Movember events and Organ Donation Week campaigns. Other campaigns previously organised by Sláinte include Healthy Living Week, Cancer Awareness, and SHAG week. Last year, the Paediatric department at University Hospital Galway were presented with a cheque for €3,000 from the society as a result of donations received during the event. 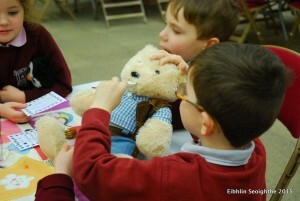 Applications for schools to attend Teddy Bear Hospital in 2017 will open this November. Photos above by Eibhlín Seoighthe.